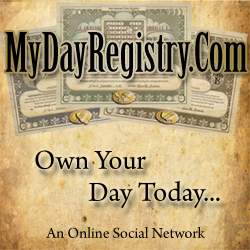 Gift Store's, Florist, Chocolates, Holidays, Party, Nik-Naks, Memorabilia, Collectables, Gift Cards, Toys Page. 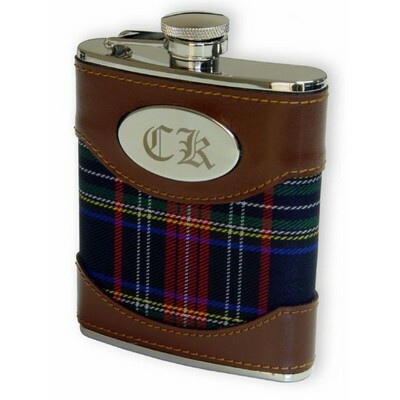 Remember someone special with a gift that has a true old world flavor by choosing our Scottish Stainless Steel Flask. Made of solid stainless steel, this original design features bold reds and blues woven into an elegant plaid fabric and accented by deep, rich brown leather. Flask itself has polished silver finishing making this 5 1/8" x 3 3/4" gift with a 6 oz. fill capacity an elegant choice for anyone. Also includes an oval-shaped nameplate for including name or initials for personalization in premium quality laser engraving. Your special lady of any age will love our Sleek Compact Mirror with Pouch. Contemporary in design and rectangular in shape, it measures 2 1/4" x 3", which makes it perfect for convenient carrying in even the smallest of purses. She'll be impressed by its modern polished silver finish, which makes a perfect backdrop for adding personalization in distinctive laser engraving. Also a wonderful selection for bridal attendants and sorority sisters. Send a loud and clear message to your beloved with our Valentine's Heart. You will sweep them off their feet with your own customized message. Measuring 8" x 8" dimensionally, it is made of premium quality acrylic and features a couple kissing with finely etched hearts above them. The heart rests atop a solid acrylic base making it perfect for displaying anywhere. Add personalization in laser engraving to include your beloved's name as well as your name too so that your gift is treasured throughout the years to come.�Personalization information:Personlize this gift with the recipient name, your own message and your name. Give your favorite card player aficionado a gift that's sure to be a winner with our Executive Playing Card Party Gaming Set. This sophisticated 4 1/2" x 4" x 6 1/4" design is handsomely finished in distinctive rosewood with the 4-suite symbols featuring a spade, heart, diamond and club embossed in gold detailing. Elegant in every aspect, this item includes gift includes two standard 52-card decks of playing cards, a pencil and notepad for scoring the games. Deal a "winning hand" when you add personalization in premium laser engraving to include a name, initials or brief message. Remember someone very dear to you with this Silver Treasures Photo Album with Personalization Plate Measuring 9 �? x 7 ??. This sophisticated design is elegant in every detail and holds either 60 4x6 photos and 20-5x7 photos. Your recipient will be proud to display your gift on a coffee table or a desktop where everyone can see it. Include a name, date or special message on the center brushed silver nameplate for to create a truly signature gift that will always be cherished. To recognize someone you love with a gift that is as unique as they are, you'll love this intriguing Fortune Cookie Keepsake Box. This innovative selection features modern polished silver finishing and measures 2 �? x 2 ? ?x 1 ?? overall. Your recipient will be impressed by your tastes in the imaginative and non-traditional, especially when you add personalization in laser engraving to include their initials. Mark the wedding celebration of a special couple with our elegant Acrylic Heart with Inlaid Quart Clock for a gift that will make a lasting impression. A stylish 5" x 5" design, this selection includes a standard inscription reading "May your love be timeless, and every second full of joy" with two inscribed intertwined hearts centered below. Crystal heart is fashioned of acrylic and handsomely displays a premium quart timepiece bordered in golden finishing. Make this a signature gift that will always be treasured by adding personalization in laser engraving to include the couples names and wedding date. 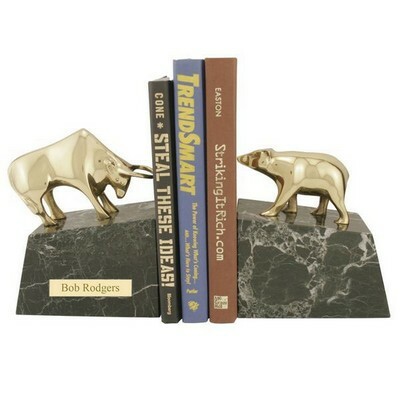 Crafted in genuine bronze with exquisite detailing, this set of distinctive stock market bookends makes a bold statement. Expert craftsmanship is immediately apparent in each 8.5? tall bookend making an outstanding display for showcasing the two elements of the market. 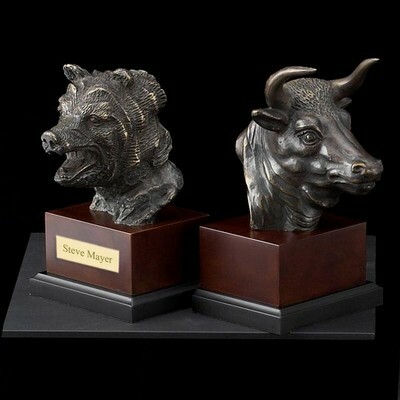 Both the bull and the bear are prolific in bronze detail and are displayed on a solid wooden base. Add a familiar quote about the stock market or a unique message of your own to personalize this choice. We will engrave it on a brass plate and attach it to one of the bookends. Our free engraving services are a valuable option for your consideration. Make an impressive statement to someone special with our Handsome Black Leather 4-Watch Case with Multi-Compartments. A sophisticated design, it measures 9" x 6 �? x 3 �? and features premium black onyx leather making it truly sophisticated. 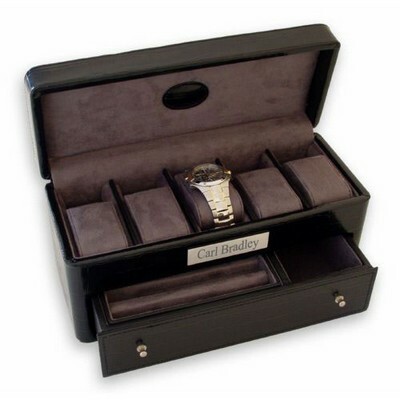 A complete personal valet, it not only holds 4 watches, but also has storage areas for keeping rings, pocket change and other personal effects. Includes working lock for added security. Add extra elegance by adding personalization in laser engraving to include a name, initials or a brief message on a nameplate attached to the top. Your gift says it all when you choose our Onyx Croc Leather Jewelry Case. An elegantly designed upscale gift, it measures 11 �? x 4 ?? x 5" and is made of luxurious black leather with a deep cocoa interior. Generous in space, it features a 5-watch storage area that opens from the top with a croc embellishment inside the lid and a separate pullout drawer on the bottom for storing other personal items such as jewelry. Add personalization in laser engraving to include a name, initials or brief message on a solid brass nameplate. He will know how much you love and value him when you select our Sophisticated Gentleman's Jewelry Cachet, available in either exquisite black or brown leather. Truly handsome, this gift measures 7" x 4 ?? x 2 �? and includes a rich, golden fabric lining, which accents either the black or brown exterior dramatically. Includes a working lock for added security. Perfect for storing cuff links, rings, a watch and tie/lapel pins. Add distinction with personalization in laser engraving on a solid brass plate to include a name, initials or brief message. Fashioned of rich, deep brown leather, it measures 9" x 5" x 5 1/4" dimensionally and has 3 spacious jewelry storage areas. Top storage area features multiple compartments and 2 pullout drawers below provide ample room for storing jewelry. Added security when traveling with a working lock. Add a touch of extra sophistication by adding personalization to include a name, initials or brief message on a solid brass nameplate. Remember the special lady or gentleman in your life with an upscale, modern gift with our Black Leather Touring Jewelry Case. Designed for convenient carrying and packing, it measures 8 1/4" x 6" x 5 1/4" overall, making it perfect for use on a business trip, vacation or weekend getaway. Features multiple compartments for storing jewelry of all types, a convenient removable compartment and a working lock for theft prevention. Let them know you're always thinking of them, even if you're apart by adding personalization in quality laser engraving to include a name, initials or brief message on a solid brass nameplate. Delight your recipient, where an individual or a couple with our intriguing Exclusive Contemporary Quart Clock. Perfect for any home mantle or in an office setting, this elegantly modern timepiece offers distinctive styling and quality craftsmanship. It measures 10 1/4" x 8" x 8" x 4 1/4" and features premium wood in lustrous piano finishing on its top and base bordering around the crystal clear encasement surrounding the timepiece itself.This innovative design allows you to be mesmerized by the internal workings and components of the clock, which also incorporates a 60-minute clock in the center. Enhance the sophistication by adding personalization to include a name, initials or brief message to ensure that your gift makes a lasting impression. Help that special someone in your life add a sense of stylish order to his/her life with our Deluxe Desktop Organizer Caddy. Stylishly crafted from premium rosewood, this selection measures 6 7/8" x 6" x 6 1/4", which makes it perfect for use in any room. It conveniently stores everything in one place, so there's no more looking for the TV remote, reading glasses, cell phone, pens or note pads, also includes a drawer for storing paper clips and/or push pins. Add your recipient's name to personalize this gift in quality laser engraving to let them know this is for them especially. Let someone you love know you're thinking of them and remind them to take care and pamper themselves while they're away with our Personal Care Valet 11-Piece Traveler's Set. 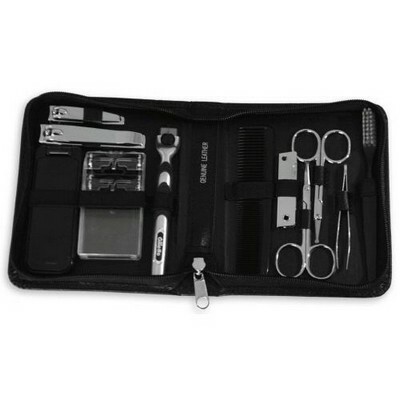 A completely sophisticated selection, this set features a premium black leather case that measures 5" x 7" for convenient packing and an amazingly complete 11-piece collection of personal care tools, including a modern Mach III razor. You will always be in their thoughts when you add personalization to include your recipient's name or initials in laser engraving making it a gift to be remembered. 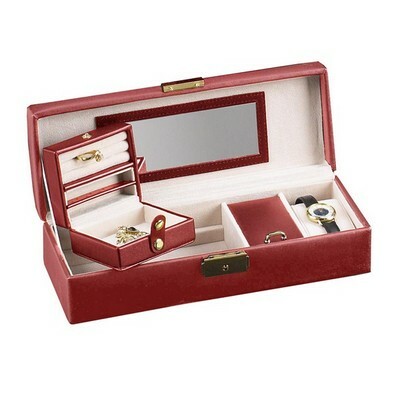 Give a truly signature gift from the heart with our Stunning Red Leather Jewelry Case. A distinctive and unique design, it measures 11" x 4" x 2 3/4", allowing it a generous amount of room for storing jewelry of all types. It also includes a convenient removable tray and a quality working lock for securing valuables. Your recipient will know that you've gone above and beyond when you go a step further to include personalization in laser engraving to add their name, initials or brief message. Stunning in both design and intensity, this set of intriguing beasts of the market bookends create a dramatic impression. Exquisitely crafted from solid brass, both the bull and bear stand poised to face off, each posing on a solid marble base for overall height of 7?. The deep black marble base provides a striking contrast to the polished brass finish of these stock market symbols. Create your own extra feature of distinction by personalizing this gift. Add a special message or thoughtful expression with our free engraving services. We will deliver professional laser engraving for displaying your message on a brass plate that will be attached to one of the bookends. Remember the "big guy" on his special day with our Handsome Dad Gift Plaque. He'll be truly surprised to receive this stunning acrylic 7" x 5" x 1" selection featuring the word 'DAD" and a special just-for-fathers poem. All his friends will be envious when he proudly shows off his handsome gift, which is truly distinguished when you add personalization to include your name in quality laser engraving. Makes an outstanding presentation for Father's Day, his birthday or other special occasion. Touch your mother's heart with our elegant Lovely Plaque for Mom. This elegantly detailed gift plaque will bring a smile to her face with "MOM" inscribed on the upper center bordered by hearts. She will absolutely love the beautifully inscribed poem chosen especially for her from a son or daughter. Measuring 7" x 5" x 1", this selection will be a gift she can proudly display for all to see. Features a stunning piano wood finish that is further enhanced when you add personalization in laser engraving to include your name always reminding her of how much you love her. Perfect for your mother's birthday, a special holiday or Mother's Day. Honor and celebrate the marriage of any special couple with our Elegant Wedding Day Gift Plaque with Photo Frame. This sophisticated design measures 8" x 6" x 1" and features a beautifully composed wedding poem just for the bride and groom complete with exquisite artwork for a dramatic statement. Holds either a 4" x 4" or 5" x 3" photograph. Add a signature touch by including personalization in quality laser engraving that features the couple's names and their wedding date. Your thoughtfulness and impeccable taste will be remembered always. Personaliztion information: Personalize this gift with the couples names, wedding date and a short message, poem or quote. Congratulate a special graduate with a gift that will last a lifetime when you honor him/her with our Congratulatory Graduation Gift Plaque with Poetry Inscription. This 7" x 5" x 5/8" selection features a specially created poem just for the graduate to show how proud you are of his/her accomplishment and to offer your heartfelt well wishes. Makes this gift a truly inspirational one when you add personalization of the graduate's name in quality laser engraving. Make a larger than life presentation for any financial expert with this set of impressive bookends. 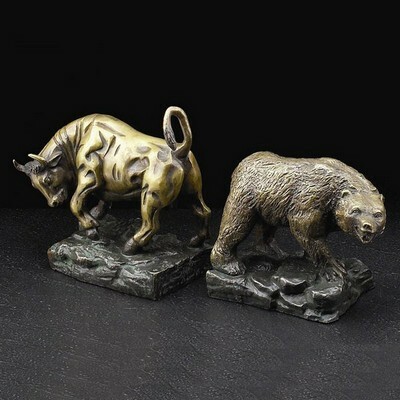 This set makes a dramatic representation of the traditional bull and bear symbols of the market. Crafted from solid brass, both the bull and the bear are exquisite in detail and are posed on a solid brass base for an impressive height of 7? each. This intriguing set of market bookends will be a well appreciated and treasured gift by anyone who is involved in the financial industry. It is an outstanding choice for professional financial experts who own their own firms or who hold any high level financial positions. This truly original collection is designed specifically with the financial professional in mind. 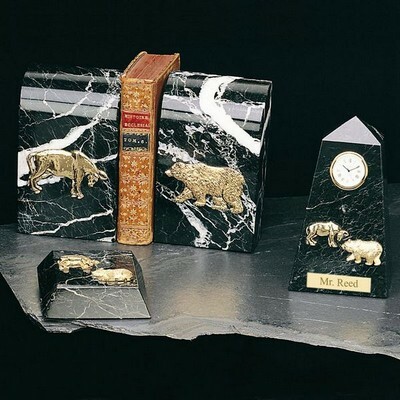 Longtime symbols of the market, the bear and bull cover the front of the marble clock, the bookends and the paperweight in a distinctive gold plated finish. The 6.25? height of the bookends, 7? height of the clock and the appropriate sizing of the paperweight make the collection small enough to display on a desk, yet statuesque enough to make an impressive statement. We offer this collection for your consideration as an appropriate item for brokers, bankers, investment counselors and other financial advisers to whom you wish to convey a special message with our free engraving services. 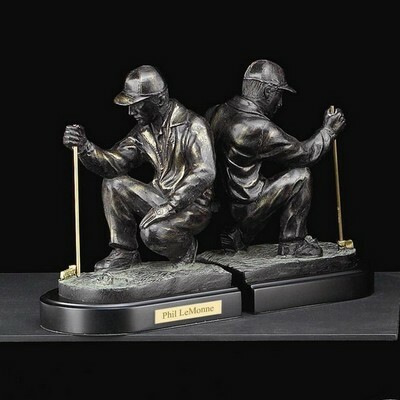 Distinctive as the game of golf itself, this sophisticated set of solid marble bookends measures 6.25? in height composing a striking presentation. Displayed squarely in the center of each bookend is a gold plated golf bag that is exquisite in detail displaying the golf clubs and even the soft folds in the bag itself. The classic deep black marble is an outstanding backdrop against which to display the exquisite detail present in the gold plated finish of the golf bag. Use our free engraving services to add an even more dramatic appearance by including your special golfer?s name which we will engrave on a brass plate and attach to one of the bookends. There is no thought more deliberate and calculating than that of the golfer when measuring with the eye the distance required to land the ball. That is precisely the view that is captured in this set of intriguing bookends. Each bookend in this set measures 9? tall and reflects the golfer kneeling on one knee for a more accurate view while holding a polished brass golf club in the right hand. This genuinely original gift will be treasured forever as it is displayed either at home or in the office of any golfer. Personalize it for that special golfer of yours by adding a name or thoughtful expression with our free engraving services. It will be displayed on a brass plate and attached to one of the bookends. Your act of extra thoughtfulness will make it even more cherished throughout the years to come. As stylish as it is useful, this 5 ?? x 5? x 2 �? quality wooden-framed clock is designed to look just like a book. Open it to see the display of an appealing antique style precision quartz clock centered inside. The clock itself is set in an inlaid design that is enhanced by spherical elements crafted directly into the wood for a very finished look.�Personalization information:Personalize this gift with recipients name or a short message. Gift will be engraved on the front cover of the book. This premium golfer?s desk accessories collection is sure to be a hole-in-one winner with any golfer, whether professional or amateur. It features three components, which include a set of 6.25? bookends, a 7? quartz precision clock and a matching paperweight. It is a perfect size for a golf lover?s desk either at the office or at home. Create an original gift for your favorite golfer or anyone who enjoys a regular game of golf by including a personal message engraved on a brass plate which can be attached the clock for display. You thoughtfulness will make this an ever cherished favorite. This idea is a very trendy making it an appropriate gift for the young as well as for those who are young at heart. Anyone will love this stylish 4.5? x 4.5? x 1.5? shiny silver keepsake box. The intriguing star shaped box is inlayed with elegant black velvet, adding more distinction to its fashionable design. Add even more distinction with our free engraving services for including a name, initials, or a brief message. Your engraved message will add an additional element of style. 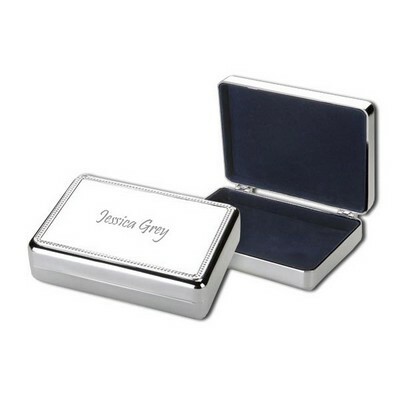 The engraving will be done directly on the lid so that the recipient sees it immediately upon opening the package. 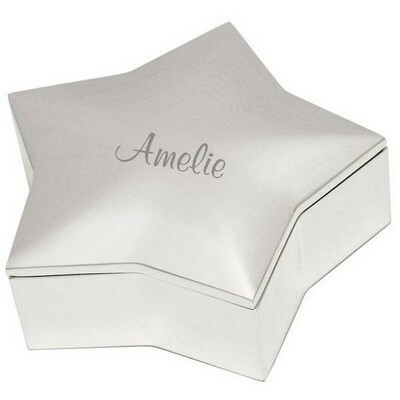 Sleek and contemporary define the elegant styling of this lovely shimmering silver keepsake box. The interior of this 5.375? x 3.875? x 1.625? dimensional silver plated keepsake box are accented remarkably with inlayed black velvet giving it a very sophisticated and romantic appeal. Personalize it with a special thought from you with our free engraving services. We will be delighted to engrave your message directly on the lid so that your warm thoughts can be seen immediately when the gift is opened. This will make your gift an everlasting treasure. Give a distinctive treasure chest for storing cherished memories with this intriguing design. Fasionably styled, this 8? x 7? x 6? wooden design is available in a rich rosewood finish. It features protective sleeves for showcasing up to 120 photos and also includes frames on both sides for displaying two 4? x 6? photos. The only thing more treasured than the photos stored inside will be your thoughtfulness in giving this unique gift. You may also personalize this gift for a special individual, which will be displayed beneath the picture frame on the front side. Impress a golfer who enjoys the finer things in life with this handsome golfers wine set. 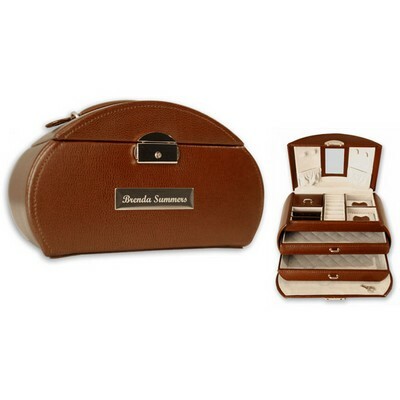 Set encased in an elegant Burlwood finished presentation box, with golf-themed lid/banner. Contains golf-themed wine tools, including golf ball decorated corkscrew, bottle opener and two wine stoppers. Add sophistication to this wine golf gift by including the recipients name and short message on the banner. Perfect golf present for tournaments, sponsors, golf coaches or club pros. Measures 6 3/4 x 5 1/4" x 2 1/4". A vibrant rosewood finish details the quality design of this wooden photo album box. Simplicity with an element of sophistication well describes its 9? x 7? x 7 �? dimensions entirely. 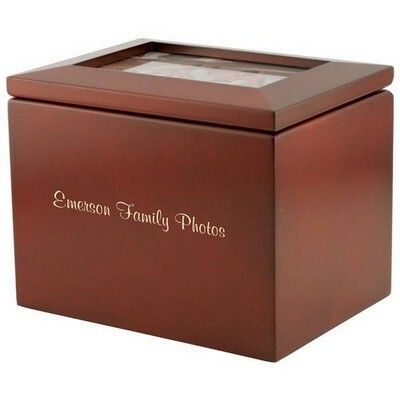 This classic design features protective sleeves in which to store up to 144 photos of cherished memories. Appropriate for both business and personal giving, this makes a truly original and lasting impression when you add a thoughtful message or a business logo. Personalization will be done on the front of this item, making a very distinctive impression. Impress any gentleman with our elegant arched rosewood valet lined with rich, emerald green interior. Intriguing curved shaped lid makes an impressive presentation when you add personalization to include recipient's name, initials or a brief message. Men's valet measures 9 3/4 x 8 34/" x 2 1/2". Make a lasting impression when you choose this stunning men's black forest valet. Truly sophisticated, valet is lined with luxurious, velvet interior. Black wooden valet for men measures 6 1/2 x 4 1/2" x 2"", which makes it perfect for storing jewelry or other smaller important items. Ensure your gift is always remembered by adding personalization to create an elegantly engraved wooden valet box. Personalization done in exquisite laser engraving to include a name, initials or even a company logo. Remember a special card playing fan on his/her birthday with our truly upscale birthday bask playing card chest. With a premium finish, playing card set features lovely, embossed designs of the 4 playing symbols, including the spade, heart, diamond and club. Birthday poker game set includes 2 decks of playing cards, plus a pencil and note paper for keeping score. Personalize unique birthday gift on the card box lid by adding personalization to include the recipient's name and age. Your gift will be truly unique and will create a lasting birthday memory. Card game set measures 4 1/2" x 4" x 6 1/4". Touch their heart with our sweet treasures heart-shaped box. Lovely rosewood finish box features a romantic inscription "True love doesn't have a happy ending because true love never ends," words from you they will always treasure. This elegant heart design includes two built-in split trays and measures 6" x 6" x 2", making it the perfect size for displaying and storing jewelry. Personalize your gift and add distinction with laser engraving to reflect a name, initials or special date on the heart's lid. Remind your sister how special she is to you with our lovely sweetheart of a sister keepsake box. Lovely heart rosewood design is inscribed with "A sister is a little bit of childhood that can never be lost," reminding her childhood memories you share with your sister. Heart shaped keepsake box for sisters is 6" x 6" x 2" in overall size and has 2 split trays, perfect for storing keepsakes and/or jewelry. 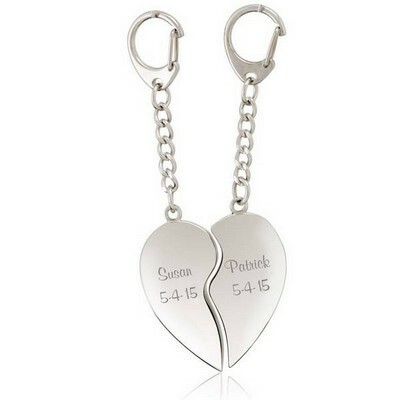 Personalize to create an engraved sister gift that she will hold dear to her heart forever. Add her name and a brief message for added elegance in laser engraving. Show your mother how much you love her with our sophisticated rosewood keepsake heart, designed exclusively for her. Features beautiful sentiment "The purest and truest love is that of a mother", letting her also know you recognize how much she loves you too. Rosewood keepsake heart for mother measures 6" x 6" x 2" dimensionally and includes 2 split trays, which open for convenient access to jewelry and other items. Personalize this heart gift for mom in laser engraved letters to include her name, initials or a special date. She will always treasure your heart-shaped gift for her. Show yiour best man appreciation with our signature best man playing card set. Highly sophisticated, this 5 3/4" x 4 1/2" x 1 1/2" best man gift has a deep rosewood finish and Best Man design silhouetted on the front. Elegant box of playing cards includes 2 decks. Choose an engraved gift for your best man by adding personalization to include his name. He will always remember your attention to detail in thanking him personally for being the best man at your wedding. Recognize the guys who serve in your wedding with our sophisticated groomsmen playing card set, designed exclusively for them. Stylish card playing set includes a rich rosewood finished card box, 2 decks of cards and features a handsome groomsmen design on the front. Measures 5 3/4 x 4 1/2" x 1 1/2" overall. Personalization makes this truly an upscale engraved gift for groomsmen. Add a groomsman's name to create a lasting memory symbolic of your close friendship. Let them know you will never forget your first kiss with this lovely first kiss treasure box w/photo frame. Truly elegant, this 9 x 7 7/8" x 3 1/4" treasure keepsake box and picture frame design is exquisite in every detail, featuring delicately floating hearts and the inscription "My heart smiled when you kissed my lips. What a sweet surprise". Genuine velvet finished interior adds distinction. Your sweetheart will be moved beyond words with your affectionate gesture and loving thoughtfulness when you personalize this gift. Add a name or a brief sentiment to create a lasting memory. Engraved, this unique photo frame and treasure box is truly an original gift idea. Photo size: 4" x 2 3/4"
Give a sweetly designed gift for her with our pretty treasure keepsake box with a picture frame built right into the lid. Feminine in detail, this genuinely lovely design for her is 9 x 7 7/8" x 3 1/4" in size and has a posh velvet finished interior lining. 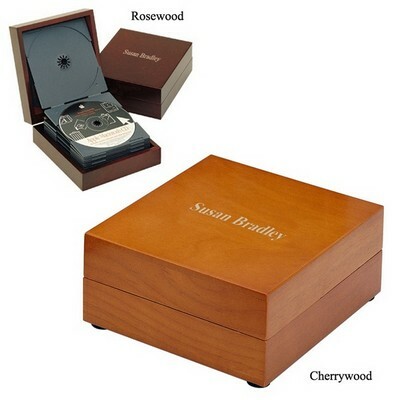 Rich rosewood finishing on outside of keepsake box features a floral etching detail. Personalize for a sophisticated engraved gift for her to include her name, initials or a special message to create a lasting memory she will always treasure. Photo size: 4" x 2 3/4"
Give a true sense of the old west with our wild west playing card set, complete with a western gun, playing cards and dice etched on top of an elegant rosewood finished card box. 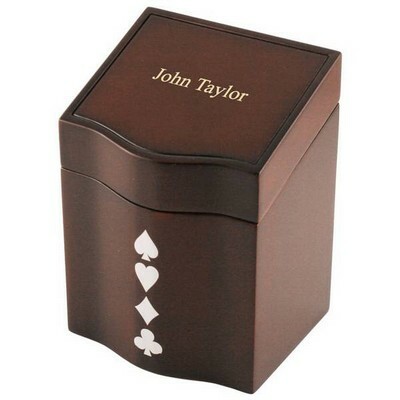 This 5 3/4 x 4 1/2" x 1 1/2" card player's gift includes two decks of standard playing cards. An outstanding engraved gift when you add personalization. We will engrave initials on the gun handle to create a truly authentic gift. You will absolutely wow them with your sense of originality in gift ideas. Impress grandma with your grownup sense of style and remind her of your love at the same time with our elegant grandma jewelry box for her. This gift for grandma features the words "Grandma holds our tiny hand for a little while but our heart forever," and features a decorative border on each side of the words. Finished in premium burlwood, this grandma gift is 10" x 7 1/8" x 2/3/4" and is lined with a lovely beige color velvet interior. It makes a perfect jewelry box for grandma and includes ring cushions and multiple jewelry compartments. Personalize this jewelry box for grandma by making it an engraved gift that includes her name or special message. She will cherish your gift for her through her lifetime, always remembering your love. Recognize a very special friend with a genuine symbol of friendship when you choose our heart of friendship keepsake box. This delightful heart-shaped treasure box reads "Friendship. A priceless treasure never to be bought or sold - it can only be cherished." What an appropriate sentiment ... truly reflective of what friends mean to each other. This elegant rosewood finished heart design includes 2 split trays, which make up the storage area of the box, for storing jewelry or other treasured items, and measures 6" x 6" x 2". Personalize the last two lines to creat a truly unique gift. Honor someone who deserves recognition for the years of employment with your company in a distinguished manner with our black acrylic years of service plaque. Truly sophisticated, this employee years of service award or plaque reads "In appreciation of your hard work and dedication. You have been a value asset. Thank you for your contribution." Personalize this years of employment plaque in distinctive black, adding the years of service, name and date of the recipient. This business gift will make a lasting impression that will never be forgotten. Measures 7" x 9", perfect for display. Give your favorite Virgo a truly unique astrology gift with our black acrylic Virgo paperweight. Truly distinctive, this zodiac design measures 5 1/2" x 2" x 3/4". A perfect gift for someone whose zodiac sign is Virgo or for someone who enjoys astrology. Includes distinctive Virgo design and astrological symbol. Personalize with name or initials of recipient. Make an outstanding engraved zodiac gift with our quality laser engraving. Your recipient will love your originality and creativity. Award recognition to a deserving member of your corporation or office staff with our clear acrylic appreciation plaque.�This item�can be�customized by you by adding the recipients name, years of service and�the thank you message to express your gratitude.��Size 4.5? x 7? � Personalization information: � Personalize this gift with the recipients name, years of service and a message of gratitude with up to 5 lines of text. Recognize a special couple during the Christmas season with our jade acrylic gift plaque design. Made of fine quality jade acrylic, they will love this delightful gift for couples for Christmas. Jade gift plaque will feature your own customized message, and has two etched Christmas trees, snowflakes and a heart, with "Our First Christmas Together" etched below. Personalize this lovely engraved couple's first Christmas gift by adding couple's names and the year. Your recipients will remember you every holiday season as they display your thoughtful gift. Measures 4 1/2" x 7", perfect for tabletop or mantelpiece display.�Personalization information:Personalize this gift with the couples names, the year, and a custom message. Remember a special family during the holidays with our family nativity scene, designed in exquisite clear acrylic. Personalize this Christmas gift for family to include the last name of the family and your own special message or blessing. Original nativity gift idea for your own family as well as other families to whom you are close. Your own family and other families will enjoy and treasure this 6" x 6 1/4" clear acrylic nativity scene for years to come. � Personalization information: Personalize this gift with the family name and your own message. Say "Happy Birthday" to someone special with a stunning acrylic plaque with red marble finishing. Elegantly detailed, acrylic design for birthdays includes etched birthday symbols, including cakes, party hats, presents and party favors. Birthday plaque also reads "You're thought about more often than you can probably guess, and thoughts of you just naturally bring smiles of happiness. Now that it's your birthday, may each and every warm thought, bring a wish for all the best in life, those things that can't be bought". 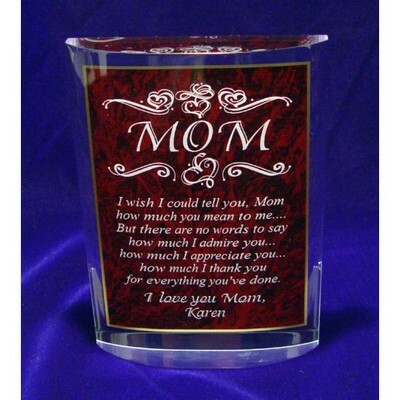 Perfect engraved acrylic birthday gift for family and friends. 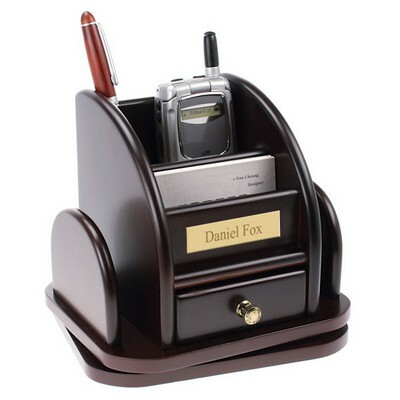 Personalize with recipient's name and giver's name for outstanding presentation and lasting memories. Measures 8" x 6" x 1 1/4, perfect for easy displaying. This executive CD box holds up to 12 CD's. It is a perfect gift idea for any business professional, particularly those who always seem to be misplacing their software discs. The dimensions of this impressive CD box are 6 �? x 5 �? x 2 �? making it practical for displaying on a desk. It is also a practical size for placing in a briefcase for working outside of the office. Personalization of this gift makes it an outstanding presentation in tasteful professional accessories for any executive, CEO, board member, or other member of upper management. Send a warm holiday message and wish a "Happy Hanukkah" to family and friends with our beautiful clear blue acrylic design. Truly elegant, this symbol of Jewish tradition features the Menorah, surrounded by the etched words "Miracles, Remembrance, Friends, Celebration, Peace, Love, Joy, Happiness, Family", all centered below the words "Happy Hanukkah". Personalize this Jewish religious holiday gift by adding a short personal message or simply a family name in laser engraving. Your gift will be treasured during each year of Hanukkah remembrance and celebration. Size: 6.75" Height. Personalization Information: Personalize this gift with a short message and the year (optional). Recognize the coming of age of a young Jewish boy or girl by giving a bar mitzvah or bat mitzvah cd/dvd case with photo frame in a stylish silver finish. Overall size of case for cd's or dvd's is 5" x 5" and holds a 1.5" x 2" picture. CD/DVD case for bar/bat mitzvahs has detailed etching including Star of David design and 2 scroll designs, plus "My Bar Mitzvah" for boys and "My Bat Mitzvah" for girls. Create a lasting memory by personalizing this important Jewish occasion gift to make a memorable engraved gift. Your gift for bar/bat mitzvah will never be forgotten. Include recipient's name and date of celebration. Give a special birthday cake that will last forever when you select our acrylic gift for birthdays. This original clear design is free-standing for easy displaying. Birthday design includes an etched slice of birthday cake and says Happy Birthday" Personalize with your own message for a truly unique gift for birthdays. 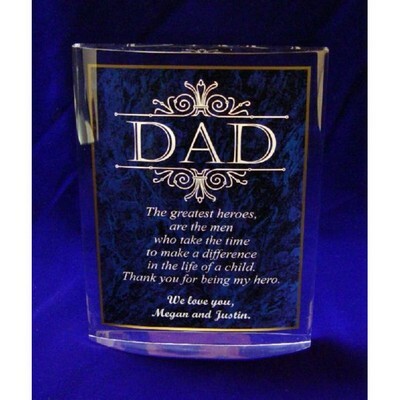 Include name of recipient for an outstanding engraved birthday gift that will always be treasured. Overall size is 6" x 4". Personalization information: Personalize with the recipients name and up to 4 lines of text for your own message. Milestone birthdays deserve special recognition, which is precisely what this acrylic birthday with blue marble finish gives to your recipient. Exquisite in every detail, this milestone birthday plaque is 5" x 7" and features stunning white etching that reads "Happy Birthday" and goes on to read your own personalized message, all written against an elegant blue marble finished background. Personalize the last 2 lines and include the recipient's age to create a magnificent engraved milestone birthday gift that will never be forgotten. � Personalization information: Personalize this gift with recipients age,�a customized message or poem, and another two lines to sign your special message. Express your heartfelt sentiments to your best friend or other special friend with our crystal clear acrylic plaque for friends. Ultimately stylish and contemporary in design, it measure 4.5? x 7? and is elegantly detailed. Friendship plaque bears a special message that says "Friendships are what are dreams are made of. We hold onto each other with its binding love. We stand close to each other, hand in hand, showing each other we understand. Some friends may come and go, but you are the truest friend I know." Includes delicate floral design underneath friend poem. Personalize last 2 lines for added significance to create a unique engraved friendship gift that will always be treasured. Honor a boy?s bar mitzvah or girl?s bat mitzvah with our exclusive Jewish special occasion remembrance plaque. This contemporary acrylic design features the Star of David with a personalization banner over it for personalizing with recipient?s name. Remembrance plaque reads ?Mazel Tov? On your Bar Mitzvah or Bat Mitzvah, depending upon your recipient. Underneath the design you have plenty of space to add a message for the recipient. Your recipient will always be proud to display his/her unique gift commemorating this special occasion. Overall measurement of 5" x 7". � Personalization information: Personalize this gift with the recipients name, occasion (Bar Mitzvah or Bat Mitzvah) and a special message with up to 6 lines of text. 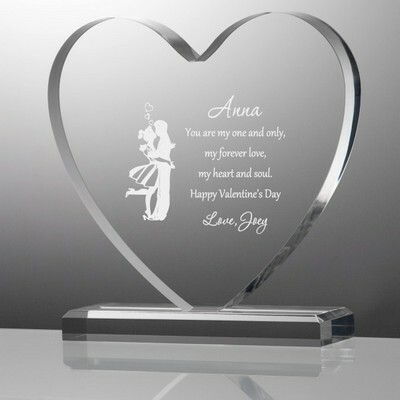 Create a lasting forever memory to celebrate the marriage of a special couple or for your own wedding with our eternal love topper, designed from quality clear acrylic. Truly impressive, this topper for wedding cakes features an elegant circle with the word "love" etched exquisitely. This topper design for wedding cakes measures 5" x 5 1/4", which makes it the perfect size for all sizes and shapes of wedding cakes. Personalize this original design to include couples initials, last name and the date of their marriage ceremony. Choose this engraved wedding cake topper for your own wedding or for a special couple ... it will be cherished for a lifetime by the bride and groom. Two doves ... love birds in a heart, the perfect symbol of a perfect love, and a perfect cake topper idea, in fine clear acrylic. Wedding cake topper is 5" x 5 1/4" overall and will make an elegant statement atop your cake. Personalize this transparent topper for your wedding cake to make a dramatic statement. An engraved clear acrylic wedding cake topper with doves is not only beautiful, but also impressive with monogrammed couples initials and date. Create a lasting treasure and cherished wedding day memory for your own special day or the marriage of a special couple. Recognize a member of the Armed Forces with our distinguished military honor plaque, designed on clear jade acrylic. Pay tribute to an armed forces member in any branch of service with the branch name etched exquisitely against the clear jade plaque. Military plaque is 8" x 5" in size and reflects a message of�your choice.�Personalize this sophisticated engraved military plaque with the name of the recipient in addition to his/her branch name. � Personalization information: Personalize this gift with the recipients name, military branch and custom message. Recognize the birthday of a special teacher with our birthday plaque for teacher, designed in exquisite clear acrylic. Perfect for displaying on a teacher's desk, this teacher birthday plaque is features a traditional teacher's apple done in decorative style with a birthday candle on top. This creative gift for a teacher's birthday is 6 x 4" in size overall. Personalize plaque for an elegant engraved teacher gift that includes his/her name and a special message. Your teacher will never forget your kindness and will truly treasure your special teacher gift always." Offer congratulations to a special couple on their anniversary with our distinguished religious anniversary plaque in a heart shaped clear acrylic design. Especially lovely, this anniversary gift is made of genuine acrylic of superior quality, giving it truly sophisticated look. Features symbolic cross and delicate floral accent. Heart anniversary plaque is 4 3/4" x 4 3/4" and can be displayed conveniently in any prominent place. Personalize religious anniversary gift with couples names, anniversary and a special message to create a lasting engraved gift for anniversary they will always remember and treasure.Personalization information:Personalize this gift with the recipients names, anniversary year and a special message, quote or verse. There is nothing as sweet as a new baby, so choose the sweetest baby?s gift idea for the little one?s arrival. Our baby nighttime lullaby design is just precious in every detail. Baby plaque has a deep night sky blue marble finish, surrounded on all sides by a crystal clear acrylic border. Features whimsical newborn baby items, including pacifiers, teddy bear, and is decorated throughout with stars and a crescent-shaped man in the moon design. Poem for new baby reads ?Golden slumber kiss your eyes. Smiles await you when you rise. Sleep pretty baby, do not cry And I will sing you a lullaby. Care is heavy, therefore sleep, While I o?er you watch do keep. Sleep pretty darling, do not cry, And I will sing you a lullaby.? Make this an absolutely precious new baby gift when you personalize plaque with baby?s name, date of birth and weight. Measures 5? x 7?. Commemorate the 15th anniversary of a special couple with our sophisticated ruby acrylic plaque. Crystal clear acrylic border surrounds a stunning ruby red marble finish with overall measurement of 7" x 5" for convenient display. Anniversary poem reads "May this day be as special as your love for each other has been, and may your dreams come true for many more years to come. Exquisitely detailed crest etched in center of anniversary plaque. 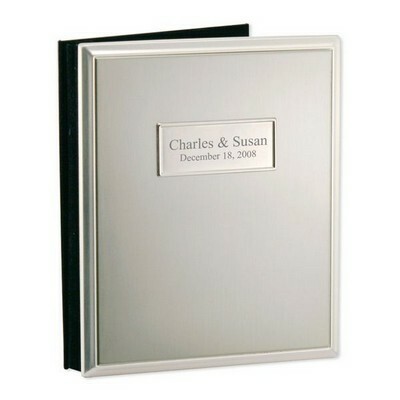 Personalize engraved anniversary gift with couple's names and wedding date, plus include a 2-line message at the bottom. Your anniversary gift plaque recipients will be thrilled by the sophistication and originality of your selection. Recognize the wedding anniversary of a couple in your family or circle of friends or your own marriage with this elegant oval-shaped elliptical plaque. Truly sophisticated, this gift for anniversary is designed of solid, clear acrylic giving it distinction in every capacity. Anniversary gift plaque is 6x4 dimensionally and will look lovely on display in your recipients' home. Acrylic clear plaque features decorative rose design and dove with heart � Personalization information: Personalize this gift with the anniversary years and a custom message, greeting, poem or quote. Honor the 10th anniversary for a special couple with our unique circle anniversary clock. 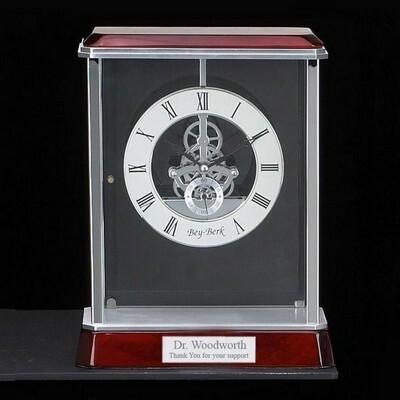 Both contemporary and distinctive, this anniversary gift clock is made of solid clear acrylic, accented by a polished silver rim and is truly sophisticated. 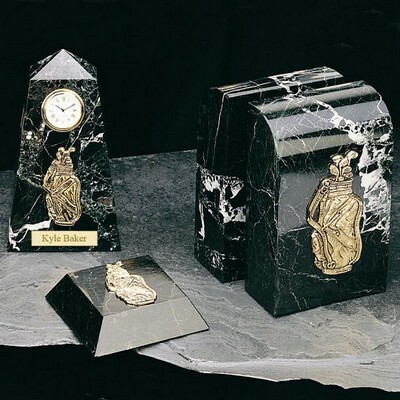 Features inlaid quartz with roman numerals, 10 years" and 2 doves with connecting ribbon and a heart. Personalize this engraved 10th anniversary clock with couple's names for a dramatic impression and to create a gift that your recipients will always remember. Measures 7 1/4" x 7 1/8" overall." Acknowledge a true and loyal friend with an original friendship gift when you choose our blue marble finish acrylic certificate of friendship plaque. A creative gift for friends, this design is done in solid acrylic with the blue marble finish accented in clear acrylic. Also features a decorative crest with overall dimensions of 7 1/2" x 5 1/2" x 3/4". Outstanding engraved gift idea for friends. Create a memorable and never forgotten gift when personalized with your friend's name, list of your friend's accomplishments, date presented and your name, as the presenter. Choose a religious gift that genuinely offers inspiration with our clear acrylic desk clock. This unique design in desktop clocks offers encouragement and personal motivation. Authentic quart clock with roman numerals makes sophisticated spiritual gift. Measures 5" x 4" x 3/4" for convenient display and features a symbolic cross and other decorative detailing. Scripture verse "Everything is possible for him who believes" with additional verse "Always believe in God and yourself". Create a truly inspirational engraved religious gift when you personalize this selection on 2 lines at the bottom. Your loving support will never be forgotten by your recipient and will last a lifetime. Express appreciation to a deserving doctor or physician with our small desktop thank you plaque. Designed of solid clear acrylic, this medical gift has the traditional caduceus symbolizing medicine. Personalization with doctor's name, giver's name and thank you message makes this an elegant engraved gift for physicians and doctors. Also makes an outstanding healthcare gift for other medical professionals. Size: 2.5" X 6" X 0.75"
Personalize this gift with the recipients name, message and your name. Recognize special teachers with this sophisticated teacher award in the shape of an apple, and designed of clear jade acrylic. Makes an appropriate teacher gift from both students and also from the school itself or school board. Also a perfect gift for other educational professionals, including school principals, academic tutors and school administrators. Any teacher would be touched with a special customized etched message. Added additional elegance and meaning with this gift for teachers by including personalization with the teacher's name and 2 lines at the bottom. Honor your favorite teacher with this 7 1/4" x 6" x 2" design that also includes an etched apple and other decorative detailing for a highly memorable gift. � Personalization information: Personalize this gift with a the recipients name, and a customized message. Impress any business associate, client or colleague with this sophisticated silver desk clock. Monogram with initials on elegantly detailed outside. 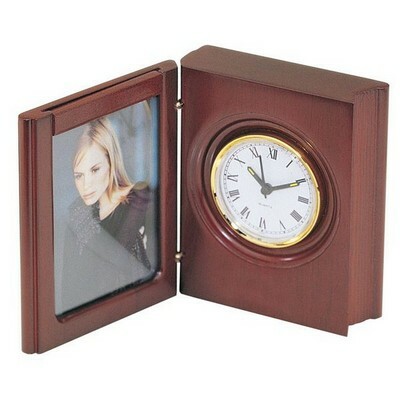 Original business gift idea is designed to open with premium quartz clock and picture frame inside for displaying a small photo. Truly elegant this clock gift for the desk measures 2.6" x 2.25" making it very sleek and the perfect size for even the smallest desk. Personalization with monogrammed initials make this engraved clock gift a present that will be well-received and always appreciated. Your recipients will display it proudly and think of you and your company regularly. 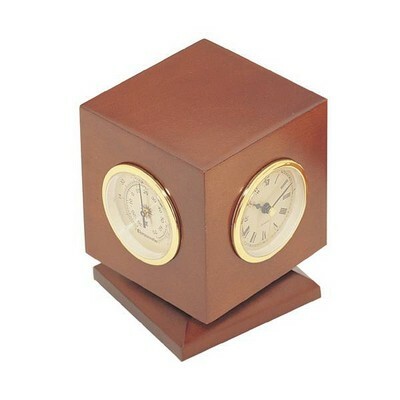 This finely crafted Nautical Weather Station is a worthy accolade for any executive. It is designed stylishly to make it appropriate for professionals at any level of the management ladder. An impressive expression made from quality wood, it houses a clock, a thermometer and a hygrometer. This distinctive arrangement of each approximating captain?s ument set in its own panel leaves the fourth panel open for the option of personalization. Engrave your business message or corporate tagline for an added sense of appreciation. Punch Software - #1 home design software for the past 7 years. Get started on your Home and Landscape Design today!